Benediction this Week – On April 24th, we will have Benediction of the Blessed Sacrament immediately after Mass. Looking Ahead – Mothers’ Day is only 2 weeks away. There will be a First Communion that day. At that time, Jesus said to his disciples: Now I go to him that sent me, and none of you asketh me: Whither goest thou? But because I have spoken these things to you, sorrow hath filled your heart. But I tell you the truth: it is expedient to you that I go: for if I go not, the Paraclete will not come to you; but if I go, I will send him to you. And when he is come, he will convince the world of sin, and of justice, and of judgment. Of sin: because they believed not in me. And of justice: because I go to the Father; and you shall see me no longer. And of judgment: because the prince of this world is already judged. I have yet many things to say to you: but you cannot bear them now. But when he, the Spirit of truth, is come, he will teach you all truth. For he shall not speak of himself; but what things soever he shall hear, he shall speak; and the things that are to come, he shall shew you. He shall glorify me; because he shall receive of mine, and shall shew it to you. This entry was posted in Benediction, blessing, bulletin, Catholic Churches, chapel, church, fr. Zendejas, houston, san antonio, San Antonio chapel, sermons, texas and tagged 1962 Missal, benediction, bulletin, Catholic church, catholic churches, chapel, churches, improvements, independent chapel, latin mass, San Antonio, Seguin, traditional, Traditional Latin Mass, tridentine mass, Vatican 2 Resistance on April 21, 2016 by sudoku-for-android. We had a beautiful High Mass about two weeks ago. * the High Mass itself, said with strict attention to the Rubrics. * the Easter lilies were still mostly alive, plus we have artificial white flowers to supplement. We also had real pink roses for the Blessed Mother statue. I don’t think it was a coincidence that Fr. Garcia mentioned during his sermon “the material things of the Liturgy”. He talked about the symbolism of incense, he mentioned chant and other elements we see and hear at Mass. I suppose he found the Mass to be beautiful as well! This entry was posted in bulletin, Catholic Churches, chapel, church, san antonio, San Antonio chapel, texas and tagged building, bulletin, Catholic church, catholic churches, chapel, churches, fr. 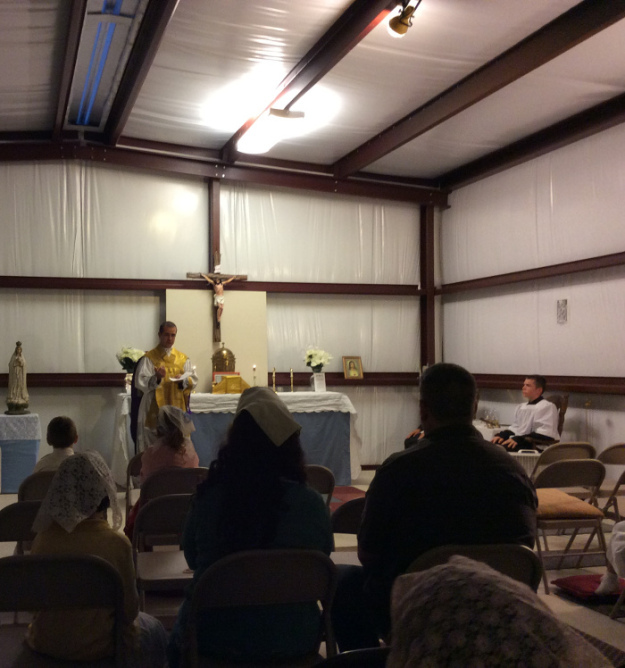 Garcia, High Mass, holy day, independent chapel, San Antonio, Seguin, traditional, Traditional Latin Mass on April 16, 2016 by sudoku-for-android. Spring Forward! – Don’t forget to set your clocks ahead by 1 hour on Saturday night for Daylight Savings Time. Potluck – We will be having our monthly potluck today. Passion Sunday – Today is Passion Sunday, the beginning of Passiontide. From today until Easter Sunday, the statues and pictures in the chapel will be covered in purple (except for the Stations of the Cross). Today the Church moves us forward to the time right before the Passion, when Our Lord had to go into hiding and “walked no more openly among the Jews”. Images of the Blessed Virgin and saints are also covered, since it is fitting that the servants obscure themselves while the Master is hidden. At that time, Jesus said to the crowds of the Jews: Which of you shall convince me of sin? If I say the truth to you, why do you not believe me? He that is of God, heareth the words of God. Therefore you hear them not, because you are not of God. The Jews therefore answered, and said to him: Do not we say well that thou art a Samaritan, and hast a devil? Jesus answered: I have not a devil: but I honour my Father, and you have dishonoured me. But I seek not my own glory: there is one that seeketh and judgeth. Amen, amen I say to you: If any man keep my word, he shall not see death for ever. The Jews therefore said: Now we know that thou hast a devil. Abraham is dead, and the prophets; and thou sayest: If any man keep my word, he shall not taste death for ever. Art thou greater than our father Abraham, who is dead? and the prophets are dead. Whom dost thou make thyself? Jesus answered: If I glorify myself, my glory is nothing. It is my Father that glorifieth me, of whom you say that he is your God. And you have not known him, but I know him. And if I shall say that I know him not, I shall be like to you, a liar. But I do know him, and do keep his word. Abraham your father rejoiced that he might see my day: he saw it, and was glad. The Jews therefore said to him: Thou art not yet fifty years old, and hast thou seen Abraham? Jesus said to them: Amen, amen I say to you, before Abraham was made, I am. They took up stones therefore to cast at him. But Jesus hid himself, and went out of the temple. This entry was posted in bulletin, Catholic Churches, chapel, church, fr. Zendejas, houston, san antonio, San Antonio chapel, texas and tagged 1962 Calendar, 1962 Missal, Austin, bulletin, Catholic church, catholic churches, chapel, churches, fr. zendejas, houston, independent chapel, latin mass, San Antonio, Seguin, traditional, Traditional Latin Mass, tridentine mass, Vatican 2 Resistance on March 10, 2016 by sudoku-for-android. This entry was posted in austin, Catholic Churches, chapel, church, Fr. Voigt, san antonio, San Antonio chapel, sermons, texas on February 15, 2016 by sudoku-for-android. Fr. Voigt Mass – Fr. Richard Voigt will be visiting St. Dominic’s today (Feb. 14th) to offer Mass. He will also be distributing Ashes after Mass. Fr. Voigt is a Salesian priest who came to Tradition several years ago and was conditionally ordained by Bishop Williamson. More New Sidewalk – A month ago, the chapel’s concrete sidewalk was only 16 feet long. Today it is 64 feet long! The sidewalk is necessary whenever it rains, due to mud and water runoff. If you wish to make a donation towards this chapel improvement, you can use the donation can on the table by the main entrance. A Look Ahead – The 1st Sunday of March, (March 6th, also Laetare Sunday) we will have Low Mass at8:00 AM instead of the usual 4:00 PM. Also, our usual monthly High Mass and potluck will be moved to the SECOND Sunday of March (March 13th). At that time, Jesus was led by the spirit into the desert, to be tempted by the devil. And when he had fasted forty days and forty nights, afterwards he was hungry. And the tempter coming said to him: If thou be the Son of God, command that these stones be made bread. Who answered and said: It is written, Not in bread alone doth man live, but in every word that proceedeth from the mouth of God. Then the devil took him up into the holy city, and set him upon the pinnacle of the temple, And said to him: If thou be the Son of God, cast thyself down, for it is written: That he hath given his angels charge over thee, and in their hands shall they bear thee up, lest perhaps thou dash thy foot against a stone. Jesus said to him: It is written again: Thou shalt not tempt the Lord thy God. Again the devil took him up into a very high mountain, and shewed him all the kingdoms of the world, and the glory of them, And said to him: All these will I give thee, if falling down thou wilt adore me. Then Jesus saith to him: Begone, Satan: for it is written, The Lord thy God shalt thou adore, and him only shalt thou serve. Then the devil left him; and behold angels came and ministered to him. This entry was posted in austin, Benediction, bulletin, Catholic Churches, chapel, church, Fr. Voigt, houston, san antonio, San Antonio chapel, texas and tagged 1962 Calendar, Austin, benediction, building, bulletin, Catholic church, catholic churches, chapel, churches, Fr. Voigt, houston, improvements, independent chapel, latin mass, San Antonio, Seguin, traditional, Traditional Latin Mass, tridentine mass, Vatican 2 Resistance on February 12, 2016 by sudoku-for-android. High Mass Today – Today is the 1st Sunday of the month, so we will have our usual High Mass today with a Potluck afterwards. Fr. Voigt Mass – Next Sunday, February 14th, Fr. Richard Voigt will again be visiting St. Dominic’s to offer Mass. Father will also distribute Ashes on this day, since we won’t have Mass on Ash Wednesday itself. Fr. Voigt is a Salesian priest who came to Tradition several years ago and was conditionally ordained by Bishop Williamson. More New Sidewalk – A month ago, the chapel’s concrete sidewalk was only 16 feet long. Today it is 60 feet long! If you wish to make a donation towards this chapel improvement, you can use the donation can on the table by the main entrance. This entry was posted in austin, bulletin, Catholic Churches, chapel, church, fr. Zendejas, houston, san antonio, San Antonio chapel, texas and tagged 1962 Missal, benediction, bulletin, Catholic church, catholic churches, chapel, churches, fr. 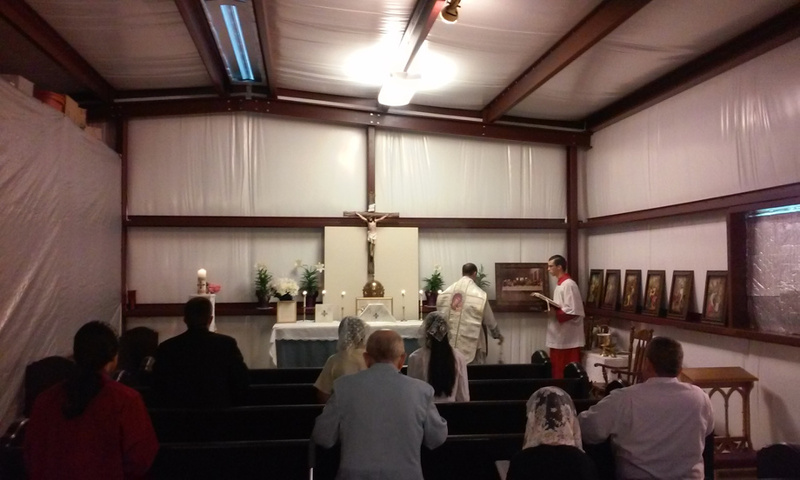 zendejas, houston, independent chapel, latin mass, San Antonio, Seguin, tridentine mass, Vatican 2 Resistance on February 5, 2016 by sudoku-for-android. The Salesian Fr. Richard Voigt is now working with Bishop Williamson/Bishop Faure and Fr. Zendejas. Consequently, he said Mass yesterday at St. Dominic’s Chapel and will be back on February 14th (the 2nd Sunday of this month). Fr. Voigt has been Traditional for many years; he has been conditionally ordained by Bishop Williamson. Yesterday’s turnout was above-average. It was a Low Mass, but we had 2 servers, a choir of 2, and an organist playing the 4 hymns (processional, offertory, Communion, and recessional), plus a decent sized congregation. There were a lot of cars in the parking lot. All in all, it was a great “welcome back” for Fr. Voigt. This entry was posted in Catholic Churches, chapel, church, Fr. Voigt, san antonio, San Antonio chapel, sermons, texas and tagged bulletin, Catholic church, catholic churches, chapel, churches, Fr. Voigt, independent chapel, latin mass, San Antonio, Seguin, Traditional Latin Mass, Vatican 2 Resistance on February 1, 2016 by sudoku-for-android. Chapel sidewalk extended by 44 feet! (Above) After the last (2) 12 foot sections were poured. (Below) After the 3rd and 4th sections were poured. St. Dominic’s Chapel, being situated on acreage in the country, is a noticeable distance from the parking area. When it rains, this causes some inconvenience as the Faithful have to walk through parts of the yard to get to the chapel. The solution was clear: put in a nice, four-foot-wide concrete sidewalk. A poured concrete sidewalk is much smoother, looks much nicer, and is much easier to maintain than a jigsaw puzzle arrangement of rectangular paver bricks. Fortunately, the sidewalk can be built in sections. The typical dimensions of a new section are 4′ wide by 8′ long. We used to have 2 sections of concrete sidewalk, totaling 16 feet. Now it’s 60 feet long. That 44 feet of sidewalk cost about $780 for four tons of concrete (8,000 lbs) and labor. This entry was posted in chapel, church, san antonio, San Antonio chapel, texas and tagged Catholic church, catholic churches, chapel, churches, improvements, independent chapel, latin mass, San Antonio, Seguin, Traditional Latin Mass on January 22, 2016 by sudoku-for-android. Benediction This Week – Today is the 3rd Sunday of the month, so we will have Benediction after Mass. New Sidewalk – The sidewalk leading up to the chapel has been extended by 20 feet! If you wish to make a donation towards this chapel improvement, you can use the donation can on the table by the main entrance. Catholic Faith Fact – The Sundays after Epiphany are similar to the Sundays after Pentecost: The liturgical color is green, and they aren’t part of the “Christmas season”. Whatever Sundays after Epiphany aren’t used in January/February are used at the end of the Liturgical year (around October/November). This entry was posted in austin, bulletin, Catholic Churches, chapel, church, fr. Zendejas, houston, san antonio, San Antonio chapel, texas and tagged 1962 Missal, adoration, Austin, benediction, bulletin, Catholic church, catholic churches, chapel, churches, fr. zendejas, houston, improvements, independent chapel, latin mass, San Antonio, Seguin, Traditional Latin Mass, Vatican 2 Resistance on January 16, 2016 by sudoku-for-android. High Mass – Next Sunday (Jan. 3rd) is a 1st Sunday of the Month, so there will be High Mass and a potluck afterwards. Feast of the Holy Name of Jesus – The Sunday that falls between the Feast of the Circumcision and the Epiphany is designated by the Church as “the Feast of the Holy Name of Jesus”. Catechism Break – Catechism classes will resume on Jan 3rd. This entry was posted in austin, bulletin, Catholic Churches, chapel, church, fr. Zendejas, houston, san antonio, San Antonio chapel, texas and tagged 1962 Missal, Austin, bulletin, Catholic church, catholic churches, chapel, churches, fr. zendejas, houston, independent chapel, latin mass, San Antonio, Seguin, Traditional Latin Mass, tridentine mass, Vatican 2 Resistance on December 28, 2015 by sudoku-for-android. Christmas Celebration – The St. Dominic’s Christmas party will be held this Sunday (Dec. 27th). There will be a potluck, cake, punch, and lots of beautiful, traditional Christmas carols. Our organist will be playing, and we have booklets with plenty of Christmas carol lyrics. It will be a blast. Don’t miss out! A Look Ahead – On New Year’s Day (Feast of the Circumcision, a Holy Day of Obligation), Mass will be at 1:00 PM. This entry was posted in austin, bulletin, Catholic Churches, chapel, church, fr. Zendejas, houston, san antonio, San Antonio chapel, texas and tagged 1962 Missal, Austin, bulletin, Catholic church, catholic churches, chapel, churches, fr. zendejas, houston, independent chapel, latin mass, San Antonio, Seguin, Traditional Latin Mass, tridentine mass, Vatican 2 Resistance on December 26, 2015 by sudoku-for-android. Christ-Mass this week – This Friday is Christmas Day, so we will have Mass at 1:00 PM. Traditional Catholics are welcome to eat meat because of the great feast day, but the day before (Christmas Eve) is the vigil of the feast — traditionally a day of fast and abstinence. Christmas Celebration – The St. Dominic’s Christmas party and potluck will be held 2 days after Christmas Day, on the following Sunday (Dec. 27th). There will be a potluck and lots of Christmas carols with organ accompaniment. Don’t miss out! Benediction after Mass – Today is the 3rd Sunday of the month, so we will have Benediction of the Blessed Sacrament immediately after the Mass. Novena Christmas Cards – There are novena Christmas Cards in the back of the chapel. Include your friends and loved ones in a Novena of Masses to be offered Dec. 26 – Jan. 3. This entry was posted in austin, Benediction, bulletin, Catholic Churches, chapel, church, houston, san antonio, San Antonio chapel, texas and tagged 1962 Missal, Austin, bulletin, Catholic church, chapel, churches, houston, independent chapel, San Antonio, Seguin, Vatican 2 Resistance on December 17, 2015 by sudoku-for-android. Gaudete Sunday – Today is Gaudete (Latin, “rejoice”) Sunday, which is the special name assigned by the Church to the 3rd Sunday of Advent. Benediction Next Week – Next week is the 3rd Sunday of the month, so we will have Benediction of the Blessed Sacrament as usual after Mass. Catholic Faith Fact – FIRST ERROR of VATICAN II: A mutilated concept of the Magisterium. This error is contained in the following statement concerning the Church’s renunciation and condemnation of error:“The Church has always been opposed to these errors [i.e., the false opinions of men­. ]; She has often condemned them with the greatest severity. Now, however, the Spouse of Christ prefers to employ the medicine of mercy rather than that of harshness. She is going to meet today’s needs by demonstrating the validity of Her doctrine, rather than by renewing condemnations.” With this renunciation of employing proper, God-­given authority to defend the deposit of the faith and to help souls through condemning errors that ensnare souls and prevent their eternal salvation, Pope John XXIII kicked aside his duties as Vicar of Christ. This entry was posted in austin, bulletin, Catholic Churches, chapel, church, fr. Zendejas, houston, san antonio, San Antonio chapel, texas and tagged 1962 Missal, Austin, benediction, bulletin, Catholic church, catholic churches, chapel, church, independent chapel, latin mass, San Antonio, Seguin, Vatican 2 Resistance on December 10, 2015 by sudoku-for-android. There will be Mass this Tuesday at 1:00 PM for the feast of the Immaculate Conception, a Holy Day of Obligation. This entry was posted in San Antonio chapel on December 7, 2015 by sudoku-for-android. High Mass – Today is the 1st Sunday of the month so we will have High Mass and Potluck as usual. It is also the feast of St. Nicholas! Holy Day this Tuesday – December 8th, just two days away, is the Feast of the Immaculate Conception — a Holy Day of Obligation. We will have Mass at St. Dominics at 1:00 PM on that day. A Look Ahead – On both Christmas Day and New Years Day (Feast of the Circumcision, a Holy Day of Obligation) there will be Mass here at 1:00 PM. Catholic Faith Fact – The fourth of four grave omissions of Vatican II is: the lack of mention of the dogmas of Transubstantiation and of the propitiatory (atoning for sin) character of the Holy Sacrifice. This entry was posted in austin, bulletin, Catholic Churches, chapel, church, fr. Zendejas, san antonio, San Antonio chapel, texas and tagged 1962 Missal, Austin, chapel, churches, houston, independent chapel, San Antonio, Seguin, traditional, Traditional Latin Mass, tridentine mass, Vatican 2 Resistance on December 7, 2015 by sudoku-for-android. Follow the Mass – Today is the 25th Sunday after Pentecost, but it is NOT the “24th and Last Sunday after Pentecost”. So the readings are taken from the 6th Sunday after Epiphany. Next Sunday will be the “24th and Last Sunday after Pentecost” in your missal. Benediction after Mass – Today being the 3rd Sunday of the month, we will have Benediction of the Blessed Sacrament after today’s Mass. Booklets are available in the back of the chapel for the various benediction hymns: O Salutaris Hostia, Ave Maria, Tantum Ergo, Oremus Pro Pontifice, Adoremus in Aeternum, and Holy God We Praise Thy Name. Catholic Faith Fact – The first of FOUR grave omissions of Vatican II is: the failure to condemn the major errors of the 20th century. This entry was posted in austin, bulletin, fr. Zendejas, san antonio and tagged 1962 Missal, Austin, benediction, bishop faure, bulletin, Catechism, Catholic church, catholic churches, chapel, exposition, houston, independent chapel, latin mass, San Antonio, Seguin, traditional, tridentine mass on November 13, 2015 by sudoku-for-android. High Mass – This week we will have a High Mass and Potluck for the Feast of All Saints. We will also have a couple of games for all ages in honor of All Saints’ Day. Please join us in the fun and festivities! Catholic Faith Question – How many religious sisters were there in the United States in 1965 vs. 2014? Last week’s question: When was the Feast of Christ the King instituted? The Feast of Christ the King was instituted in 1925 by Pope Pius XI. This entry was posted in San Antonio chapel and tagged 1962 Missal, Austin, bishop faure, bulletin, Catechism, Catholic church, catholic churches, fr. 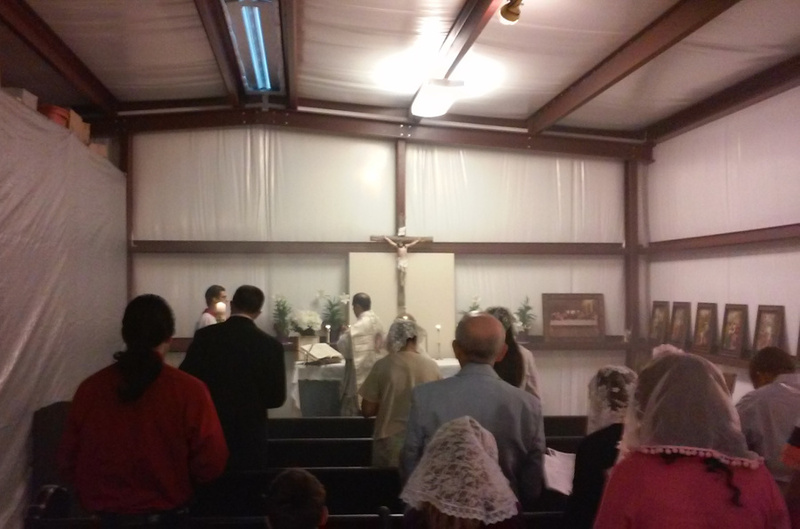 Garcia, games, High Mass, houston, independent chapel, San Antonio, Seguin on October 31, 2015 by sudoku-for-android.